The goal of the survey BPM Compass is to enhance knowledge on practice and success factors of business process management. In order to assure relevance of the survey, the practitioner counsil supports the design and the evaluation of the survey results. Dr. Frank Biendara is responsible for groupwide, national and international information management with Messe Frankfurt. Next to his doctoral dissertation, he worked in the organization department of Readymix Beton AG (now CEMEX). Before joining Messe Frankfurt, he was head of the organization/IT department of Christ Juweliere und Uhrmacher as part of the Douglas Group. Javier Almagro-Garcia is senior manager at the Airbus Defence & Space Division and reports to the senior vice president (head of quality management). He is responsible of the business management system that manages 30,000 employees. He has studied business and engineering at Universidad Complutense de Madrid, Politecnica Madrid and Vienna University of Economics and Business. In 2004, he received the BAES Chairman's Award for Innovation & Implementation. Javier is also dedicated to the BPM topic beyond his work at Airbus. He was keynote speaker at the Process Summit in Vienna in 2014. Thomas Heupel has 25 years of project and process experience in a diverse set of management functions (recently board member). He is expert for practical and goal-oriented application of agile methods in the context of process and project management and supports companies in becoming more agile. He is co-initiator of various studies and publications. 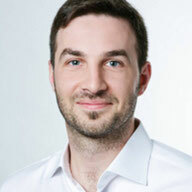 He also serves as external lecturer at the University of Applied Science Koblenz. He also obtained a diploma in coaching. Melanie Kramp, born 1983, studied industrial engineering at TU Kaiserslautern, where she then worked as a student assistent and later as deputy team lead of integrated management systems at the Institute for Technology and Work e.V.. She completed her PhD in 2011 at TU Kaiserslautern on the topic "Future Perspectives of Process Management: Dealing with Complexity". Since then, she has worked in different positions at CosmosDirect - Germany's biggest direct insurer - where she serves currently as the head of business development and HR. Head of Information Management (CIO RWE Generation Group) RWE Generation S.E. Andreas Lamken has 25 years of experience in the area of IT with a focus on strategic aspects of highly complex IT organization. As CIO of RWE Generation Se and member of the IT Governance Board of the RWE Corporation, he is responsible for IT governance, IT demand management, strategic alignment of IT and business, IT planning, IT services and project management as well as SCADA security for the international RWE Generation group. After working as a IT clerk, he studied business information systems at University of Essen and worked as a business consultant in the telecommunications industry. He is with RWE since 1997 where he worked in the areas international project management, outsourcing, IT consolidation, mergers and acquisitions, business process management, IT innovation and corporate IT management. Andreas Lamken received the IT-Innovation Award from Handelsblatt in 2016. Matthias Mehrtens is Vice President Information Systems at Kärcher since 2011 and honorary professor for information systems at University of Applied Science Niederrhein. From 2003 to 2011 he was CIO of Stadtwerke Düsseldorf AG and additionally member of the supervisory board from 2007 to 2011. Before that, he was responsible for the worldwide standardization of the IT system landscape and homogenization of processes in an energy utility corporation. He holds a PhD degree from the University of Paderborn in the area of information systems. 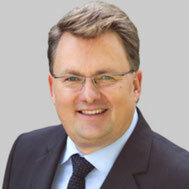 Hans-Joachim Popp works in the IT sector since 1988. As an electronics engineer, he obtained a PhD in software ergonomics and software engineering and started his work career as a product manager in medical informatics. He was then CIO International of TUV Product Service and Manager Operations of TÜV Süddeutschland Group. From 2000 to 2006, he also served as a professor for software technology at KHM Cologne. 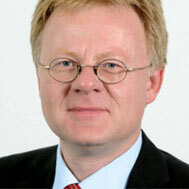 Since 2005, he is responsible for the IT of the German Aerospace Center (DLR). He has a specific interest in psychological facets of IT management in application development and in data center operations. As a researcher, he focuses on end user satisfaction and organizational psychological and contractual relationships between user organization and partners of IT outsourcing. His team received several awards from magazines and newspapers including Computerwoche, CIO Magatin and Handelsblatt. Among others, he was a runner-up for "CIO of the year" in 2008. In 2010, the joint IT activities of DLR and T-Systems were awarded the "Innovationspreis Public Private Partnership"